In the first century A.D. a Greek, Aretaeus, described the destructive nature of the affliction which he named "diabetes" from the Greek word for "siphon." 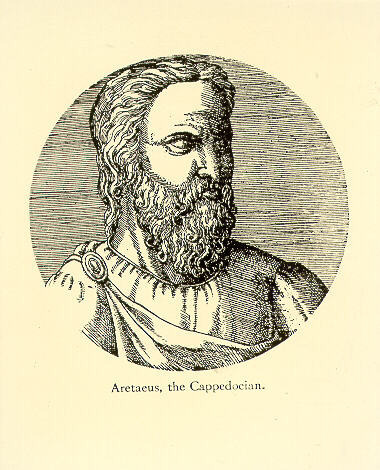 Eugene J. Leopold in his text Aretaeus the Cappodacian describes Aretaeus' diagnosis: "...For fluids do not remain in the body, but use the body only as a channel through which they may flow out. Life lasts only for a time, but not very long. For they urinate with pain and painful is the emaciation. For no essential part of the drink is absorbed by the body while great masses of the flesh are liquefied into urine."